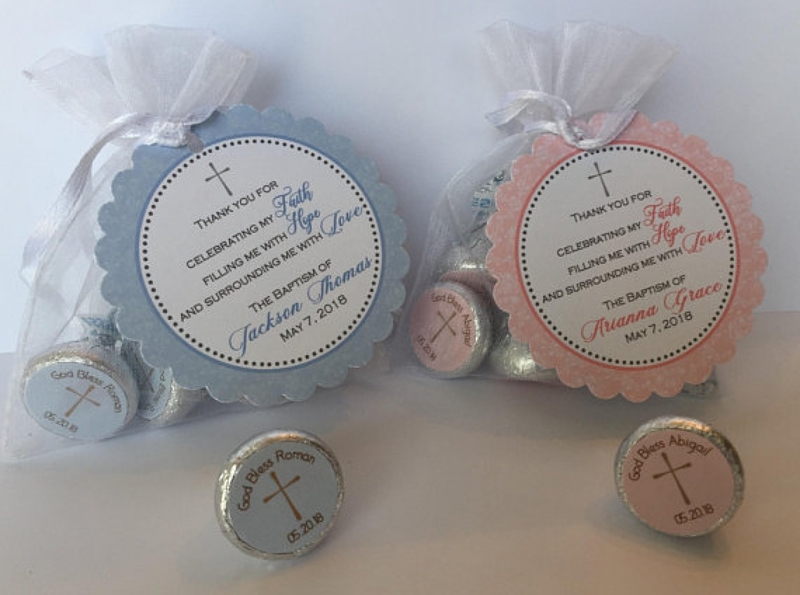 Baptism Favor Bags sets are the perfect finishing touch for your guests. 25 (2") Round Favor Tags, hole punched at the top. 2 sheets (216) Candy Stickers. Each Organza bag will hold about (8) Small Candies. Simply peel and stick the hershey kiss stickers to the bottom of your kisses, fill each bag, and tie on the favor tags. B. THE DATE OF THE EVENT.